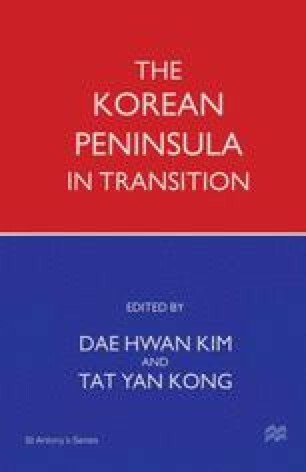 In this chapter I examine the ‘political economy of diplomacy’ through which both North and South Korea adapted to the post-war international system. I will argue that regime flexibility, and particularly a regime’s ability to adapt to changing conditions in the international political economy, is more important than ideology or social system in explaining the outcomes of diplomacy. Greater regime flexibility is in turn closely associated with the ability to sustain economic development and increase national capabilities. Such economic development is positively associated with the ability to create and sustain a high standing in the international system.